Get more use out of each pencil! 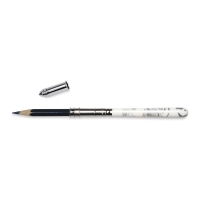 This marbleized pencil holder and lengthener has an elegant looking white/silver marbled handle for gripping the shortest pencils. A metal slip tightener holds the pencil in place. Use with 5/16" (8 mm) diameter woodless pencils. Metal Pencil Cap — Protects fine, 5/16" (8 mm) diameter woodless pencils. 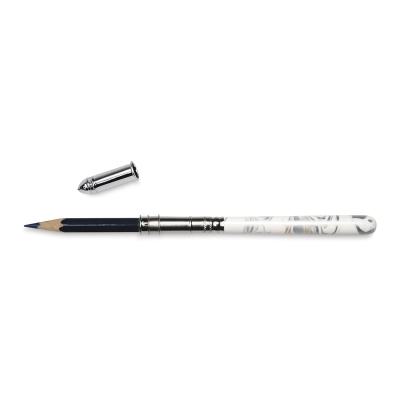 Prevents unwanted markings and breakage, and extends pencil life.